A gently paced read with sprinklings of literary references thrown in. 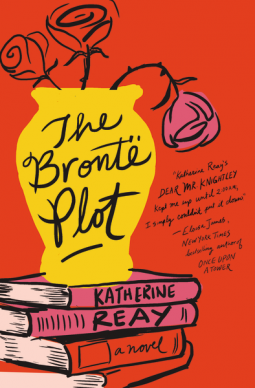 From the title, I was expecting a mystery somehow relating to the works of the Bronte sisters. I found that idea quite intriguing but I was completely wrong in making that assumption as that is not what the book is about. It is more to do with Lucy's journey, both physically and emotionally, towards self discovery. She comes to the realisation that her personal history doesn't have to define the type of person she becomes. Past mistakes can be made up for and forgiven. I enjoyed reading this book. I particularly liked the parts where Lucy and James' grandmother were travelling around England and visiting different areas of literary significance. Each area and the people they meet along the way are described with such detail and charm that I found myself thinking about going on a similar trip the next time I visit England. The characters are all very human in the respect that they are all deeply flawed. Lucy has some very dubious selling practices and it is only when she gets caught out does she decide to change and try to make amends. The little bit of romance concluded the story in a nice upbeat way.